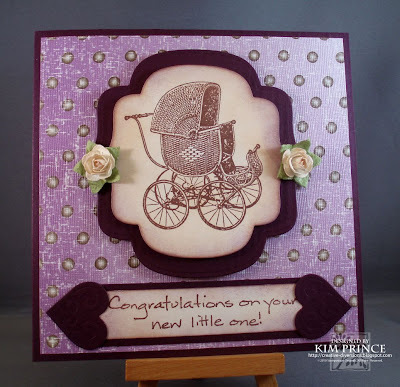 This week, Kim Prince has challenged us to create a card using the colour purple as the main colour. You can use any shade or tone of purple, hopefully this will make it a bit easier on those who don't use a lot of purple on their projects. 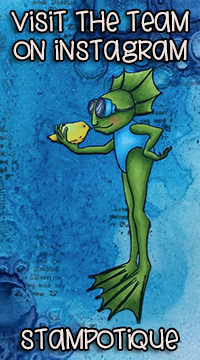 Please remember, this week's challenge is a Stampotique Originals only week! So get out your stamps and play with us! You could win free rubber from Stampotique! Congratulations to #17 Fiona Shulz for winning the $15 gift certificate from the template challenge! Please contact Carol at Carol@stampotique.com to claim your gift certificate. Have a look at the Design Teams projects! 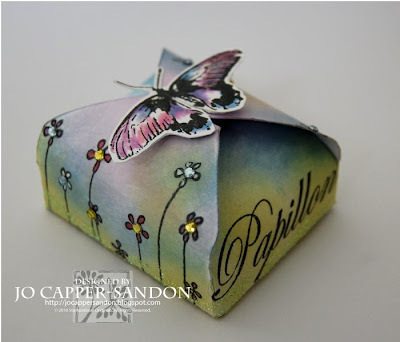 For a chance to win this week's challenge, make sure link up your creation via inlinkz (please copy & paste the direct link to your Stampotique Designer's Challenge) to inlinkz. Links that are not direct to your creation will be deleted. Thank you so much for joining us this week! We can't wait to see your creations! Thank you to everyone who picked out a template and played along with us this time! Your work was just fabulous!! I confess that I was so excited to host my first challenge, that I forgot all about the almost impossible task of having to choose a few to feature! Now I'm REALLY struggling to pick just a few - they were all so much fun! 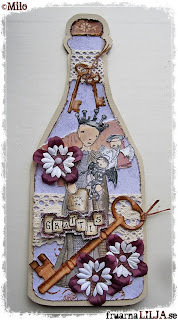 The first one I'd like to show you is by Tracy Evans at Craft Addicts. 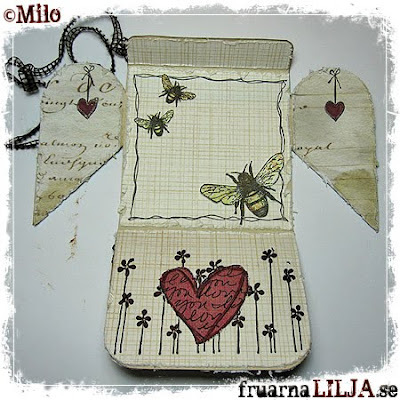 She has used a tag as her template and traced around it onto watercolor paper. 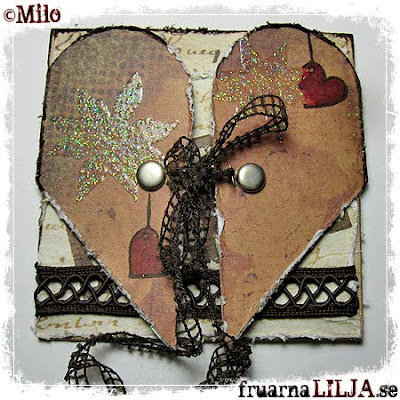 I really like the idea of using various found objects as templates! I had to laugh along with the sentiment that reminds me so much of my friend, Wendy, who has 3 children plus takes in an additional 4 children for day care. 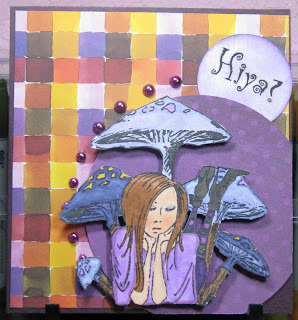 The next project I would like to share is by MaryAnne at Scrappy Sticky Inky Mess. She took the plunge and tried a pyramid box - a template I've always wanted to try! 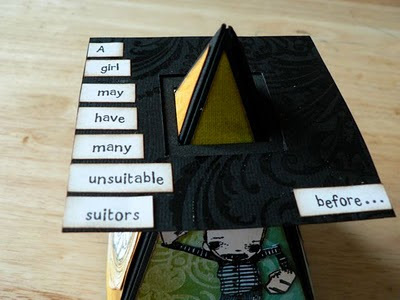 I laughed so hard I cried when I started to think about a few of the "unsuitable suitors" in my past! 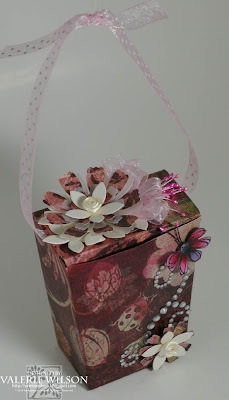 Be sure to pop on over to her blog to see the adorable surprise inside! 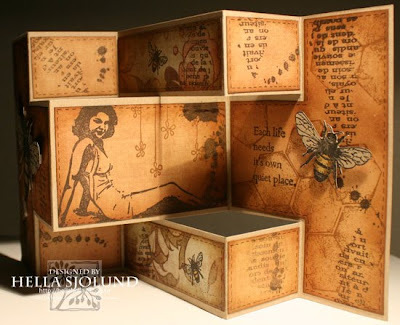 The final project is by Donna Mundinger at Popsicle Toes. 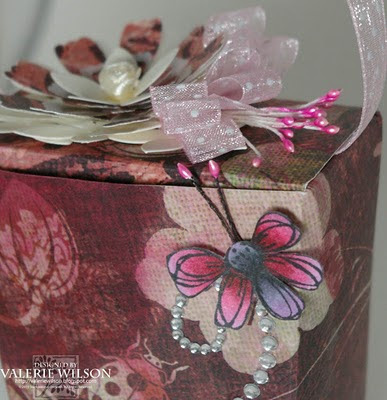 She has used Jokerhat by Kelle McCarter to top this ingenious box where the sides fold open to reveal a little box inside (check out the details on her blog). 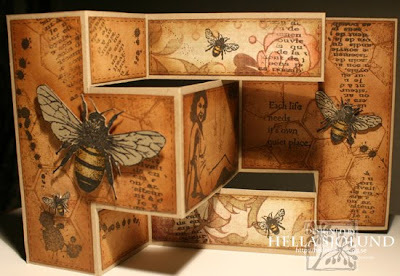 I like the idea of hiding a box in a box! 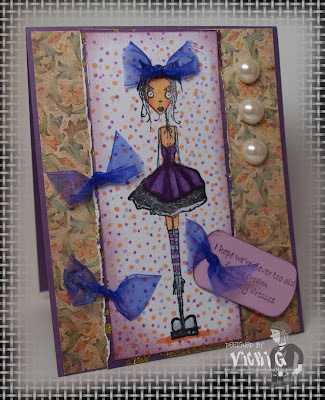 Additionally, the playful use of color and ribbon as well as the shape of the nesties complements the whimsy of this project. Thank you again to everyone for playing! Be sure to check back tomorrow as the winner of this week's challenge draw is revealed along with the next challenge theme! 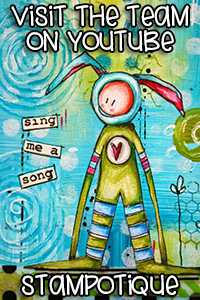 Please help Stampotique Originals welcome the newest members of our design team. 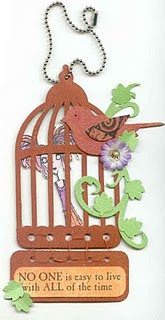 We are so excited to have them on board and hope you will leave them a little love and welcome them to the design team. 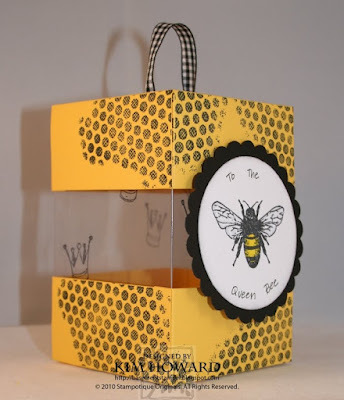 Kaz created a project for this weeks Stampotique Designer's Challenge to use a template. 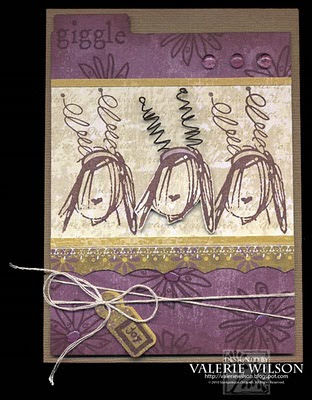 Again, welcome to the team gals, can't wait to keep up with what you are creating using the Stampotique stamps! For anyone still wishing to join us in the challenge, this week our challenge is to use a template of some kind. To see the details of the challenge, see this post. 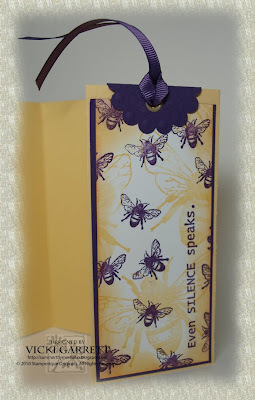 It's time for another Stampotique Designers Challenge! Don't worry if you don't have any Stampotique stamps yet! 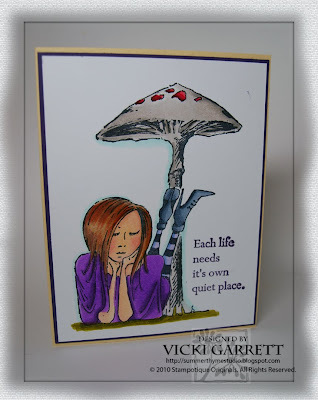 Now's your opportunity to join our challenge using any stamps that inspire your creativity for a chance to win a $15 Stampotique gift certificate! 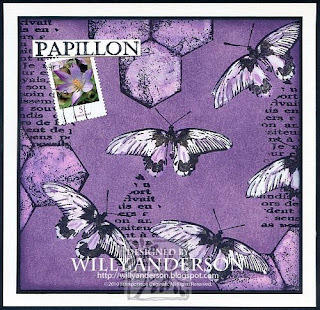 This week, Valerie Wilson challenges you to use a template for any part of your project (the card, something on the card, whatever) - or it doesn't have to be a card at all. 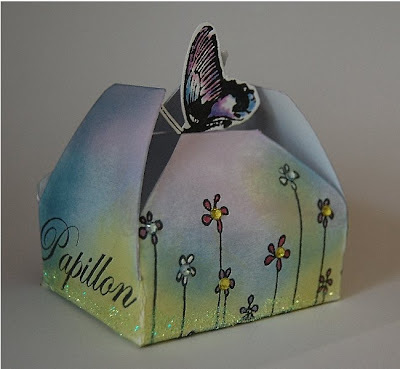 If the mood strikes you to use a template that makes a box or a baggie or some other interesting project, please go for it! 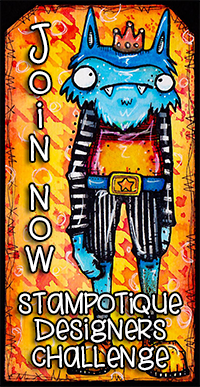 Let your creative muse guide you wherever it wants to go! Also, please be sure to include the source of your template in your post on your blog to give credit... or include a link to it if it is an on-line freebee. The winner for the Terri's Out of the Box Challenge SDC6 is Laura. 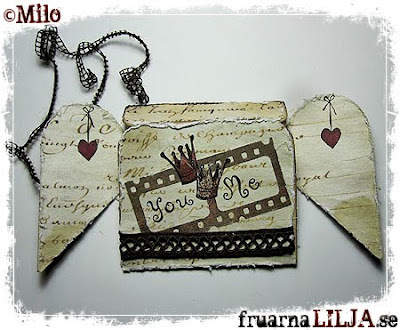 You can see Laura's creation here and Congratulations! Happy Shopping!!! 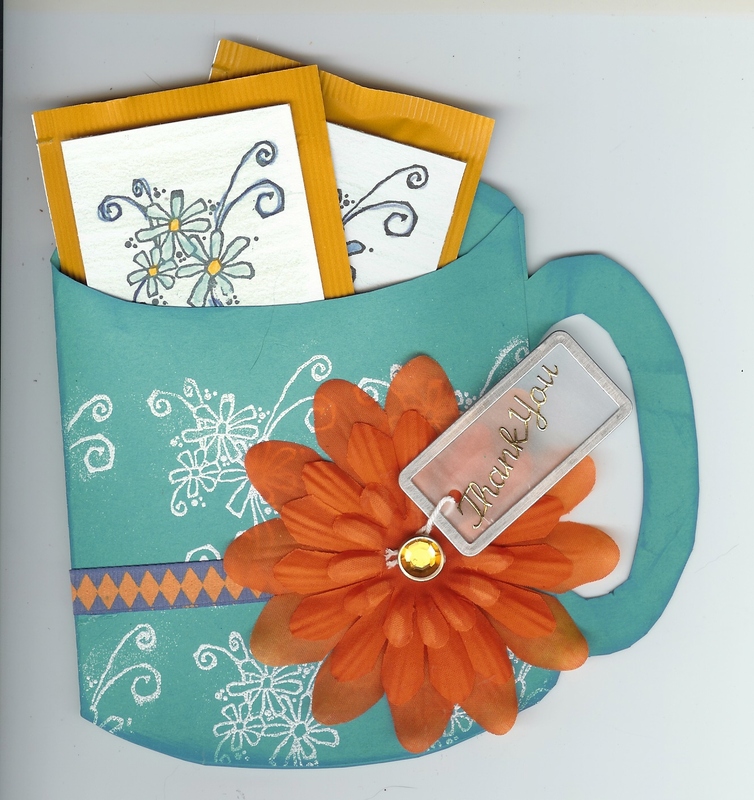 Please contact Carol at Carol@Stampotique.com to claim your prize. 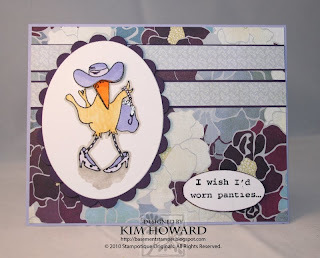 Terri's favorites can be found here-please contact Kim at khowardga@gmail.com if you would like to display the Stampotique Favorites for being Terri's top picks. We have a few members of our design team that have taken a bit of an hiatus for awhile; Jo Capper-Sandon is busy finishing up her book, Sue Roddis is in the midst of moving to the middle east and Irina Blount will put her time into designing classes where she uses our stamps. Because of these changes, we need to bring on some additional creators! 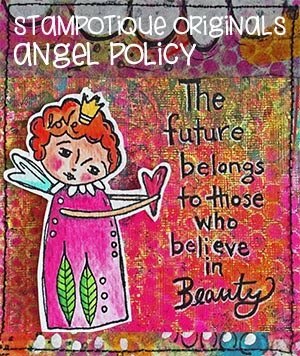 Please contact me personally at carol@stampotique.com if you are interested and also include your blog so that I can experience your style. I will return emails to everyone who contacts me. I can only take on two people, so please understand that the others will be kept in safekeeping for future need! 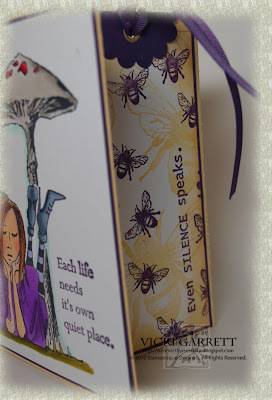 What Stampotique expects from you! 6. Visit the individual entrie’s blogs and comment on their work and also thank them for joining us for the challenge. 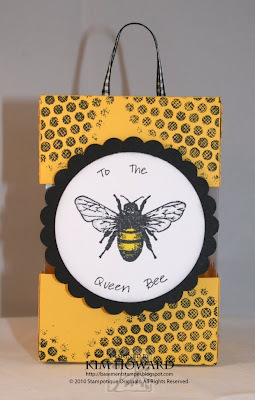 What YOU should expect from Stampotique! 1. Supplies of RUBBER as needed and desired, as long as they are used for making items to post on either the Challenge site or Designers’ link. 2. While a member of our DT, you will have a discount of 25% allowed on anything on the website. NB: Please note that Kim Howard is our newly appointed DT Coordinator. She is adept with the computer so those type of questions go to her. Kim will help you through all the loading of your work, etc. She and Vicki Garrett are working together to write a detailed step-by-step of how to upload, etc. so that everyone has the information at their fingertips.